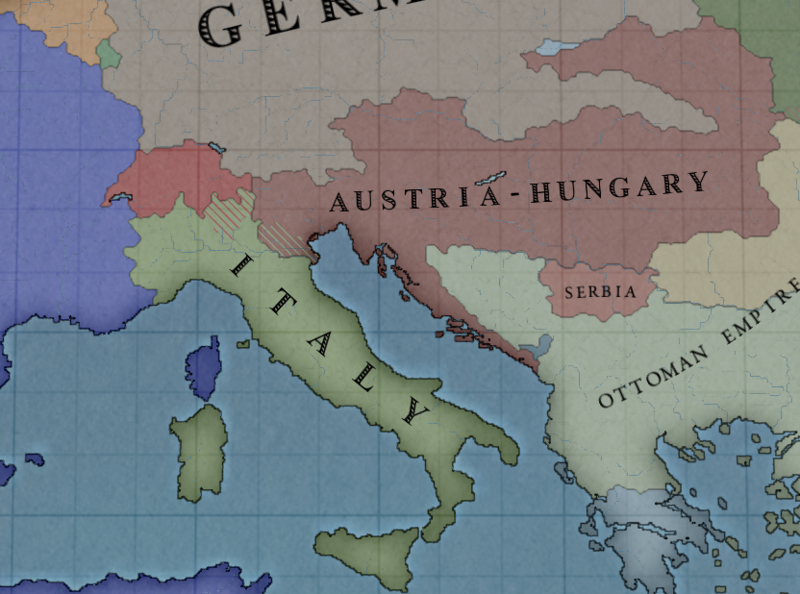 Before the year ends, we see war break out between Austria-Hungary and Italy. Italy desires ownership of the North Italian regions still under the control of Austria-Hungary. 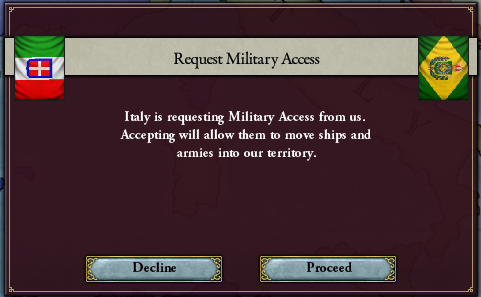 And for some reason, Italy believes that it would be beneficial to have military access through our territory for this conflict. We're nowhere near Germany, you goofs. The July 1912 election concludes with our Liberal parties maintaining control of the upper house. 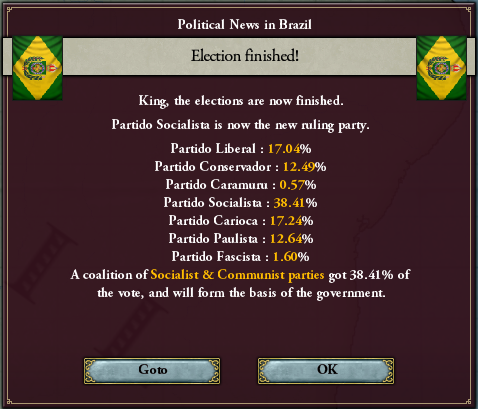 Their numbers have been dwindling with a rise in the support for Socialist parties, due in part to the desire for social reform and our own promotion of socialist party support. Coinciding with our election, the very first banana arrives in Brazil in July of 1912. Never before had a Brazilian seen or eaten one. This crazy, alien fruit has warmed everyone's hearts and made them forgot about half a mummy's worth of their troubles. The spreading war in Europe is upsetting the world market and harming our budget. Once again, in order to keep a positive balance I need to cut bureaucrat salaries and drastically cut the upkeep of our standing navy. Troubling news arrives from our colonies. A small group of British were spotted passing through our borders in the wilderness at the edges of our colonial holdings. Why would the UK launch such an aggressive action against our nation? 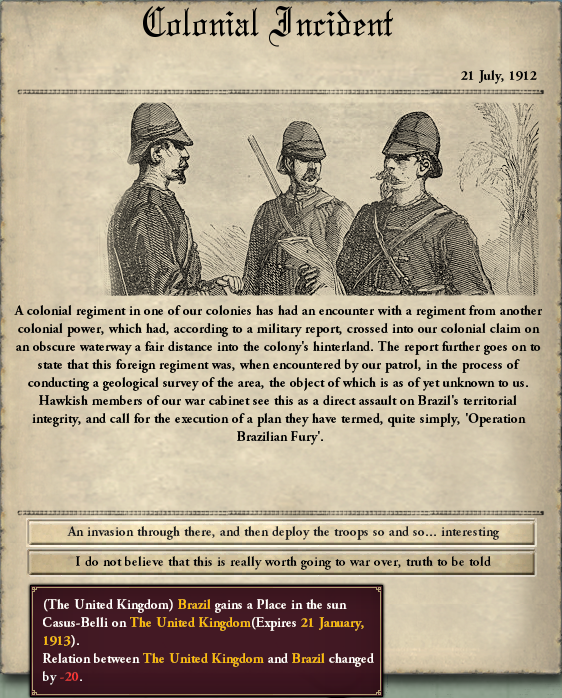 Clearly, the only sensible option is to preemptively defend ourselves from the coming invasion by initiating 'Operation Brazilian Fury'. 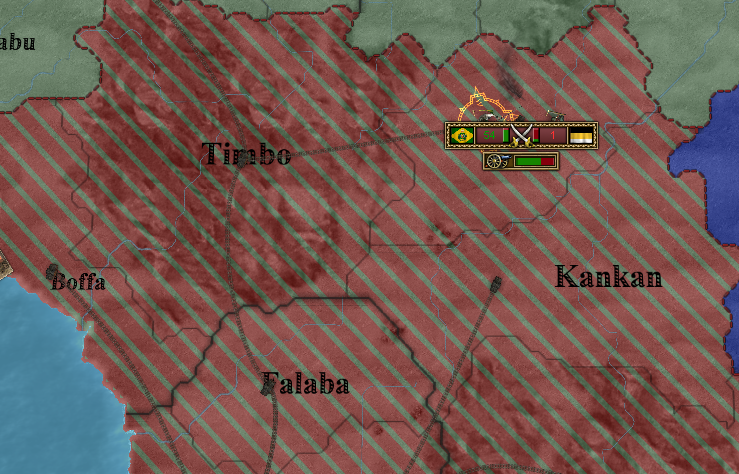 Our 1st army lands in West Africa, and no time is spared in initiating our defensive measures. The transfer of Guinea to our control would provide a relatively safe buffer zone between the majority of British Africa and the rest of our colonies. 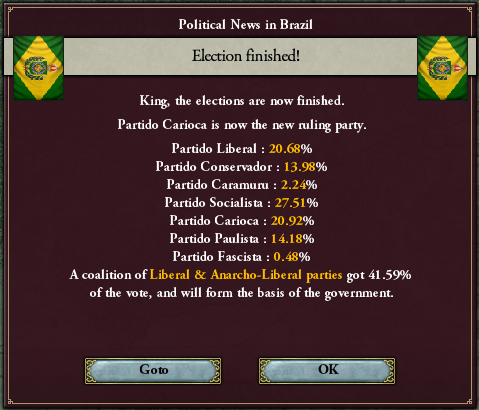 Guinea was a hotly contested colony between Britain and Brazil during the scramble for Africa anyway, so who's to say which party it should really belong to? 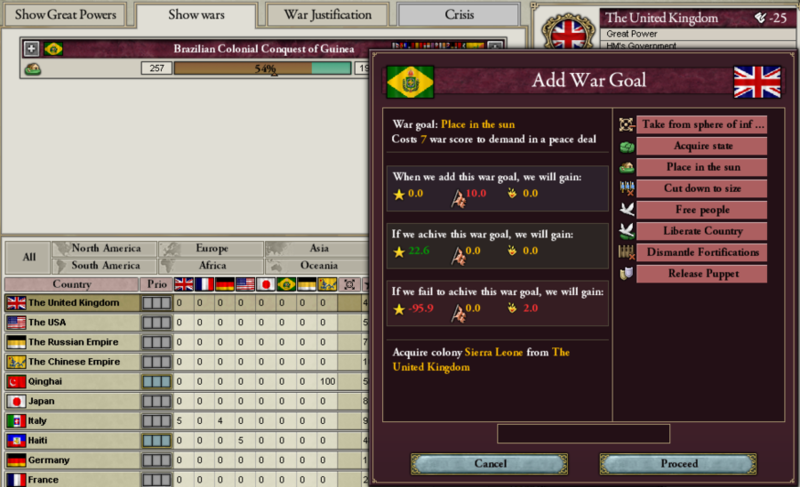 These colonies don't carry much weight in terms of war goal cost, so it shouldn't be too difficult to seize it if we hold their African colonies successfully for a time. There shouldn't be a need to launch any kind of continental expedition as we did in Spain during our last war. Our main battle fleet heads to the channel to half British warships from harassing our transports between Africa and South America. We run into smaller British fleets at first, but this one contains a powerful dreadnought that puts up quite a fight before retreating. 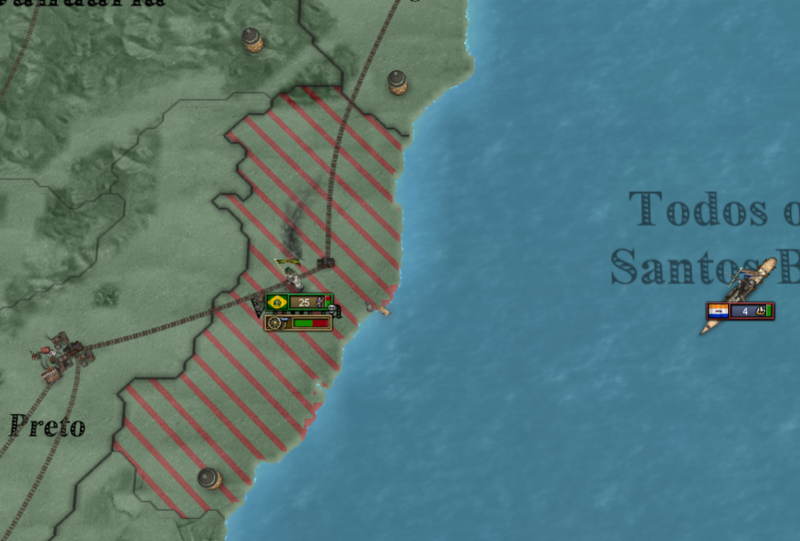 Once our transports have finished their duties, our battle fleet retreats to the safety of Lisbon, where our ally Portugal allows us military access. 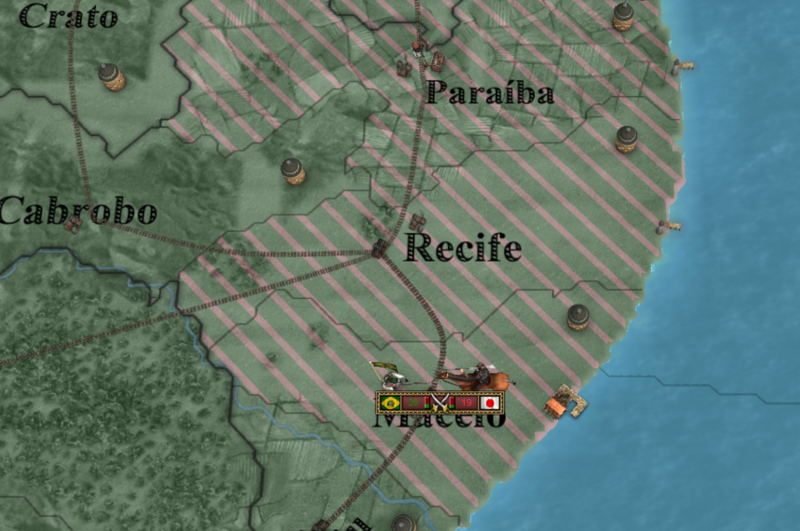 The United Kingdom bring Japan in, which launches a counter invasion that lands in Rio Grande do Norte and continues down our coast. They occupy a few provinces before I become aware of their presence. Our continental armies act quickly to remove these invaders. 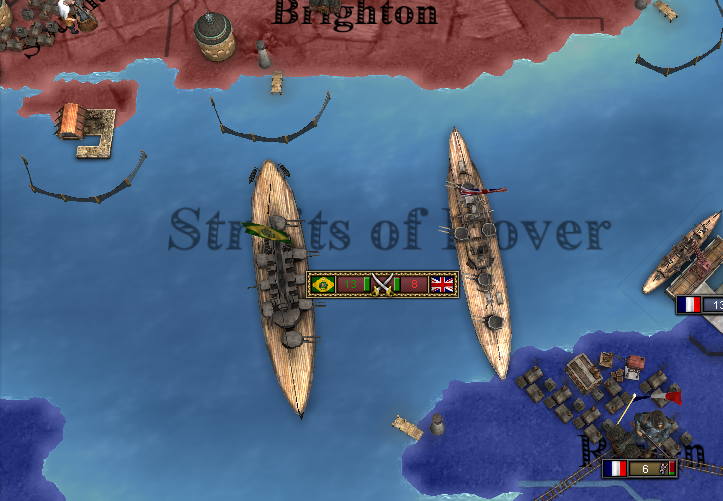 South Africa aids their British ally as well, landing a small force just north of our capital. This is a much smaller detachment and is expelled even more quickly than Japan's marine force. 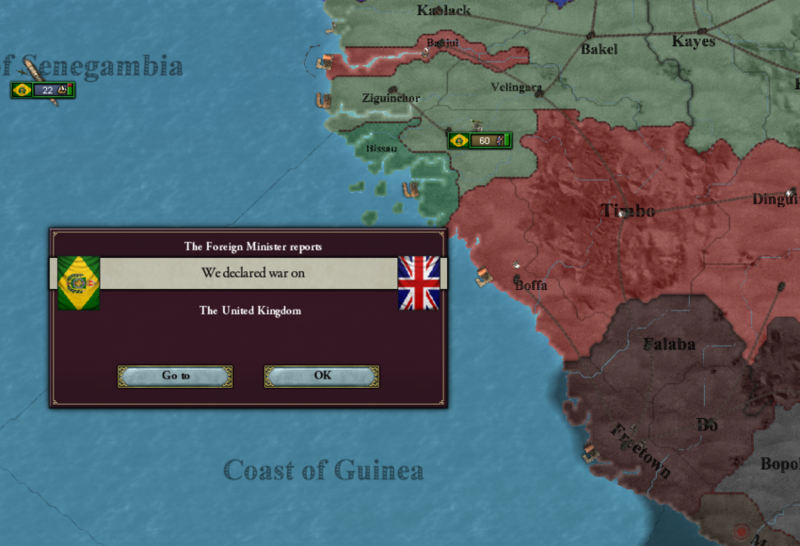 Russia aids the British in Africa with whatever forces they had present in Russian Morocco, but it isn't enough to threaten the large force we've committed in this region. The Japanese landing forces put up a formidable fight, but have no safe haven in which to recover and no other local friendly forces to support them. 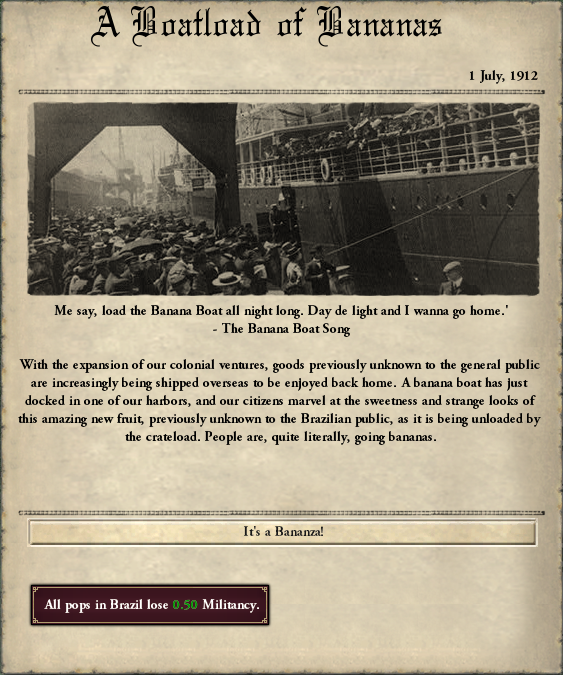 Their armies are soon removed from Brazilian soil as well. 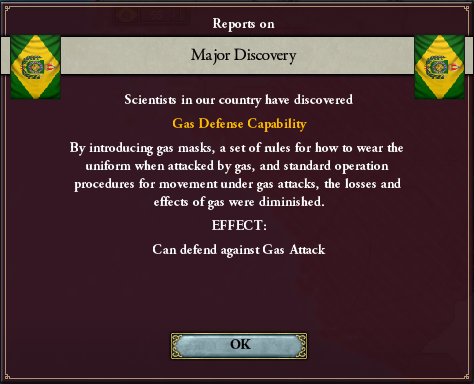 During this war, we discover methods which protect our soldiers from the harmful effects of weaponized gas attacks. The UK's allied forces are only capable of landing single, smaller forces at any given time. 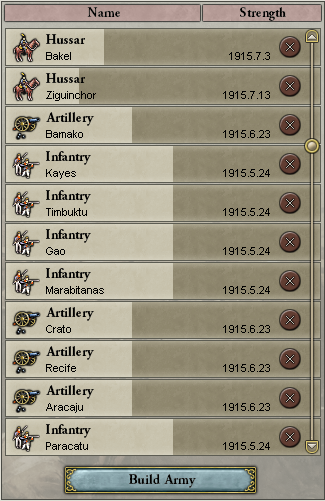 Our large, well-equipped armies manage to maintain occupation over Guinea for months and our armies in both the homeland and the colonies turn back more than a few small attempts at counterattacks. 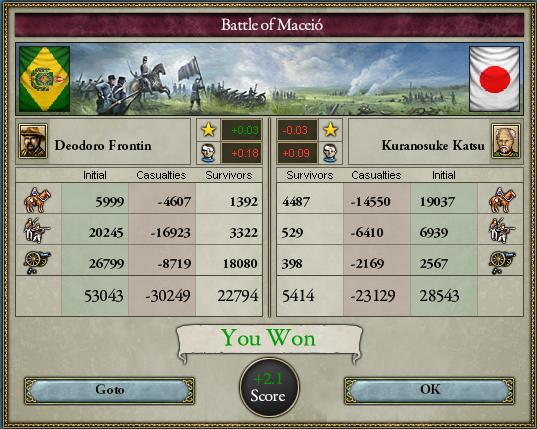 The war is going so well, in fact, that it only makes sense to ensure that the disputed borders are really pushed back far enough. 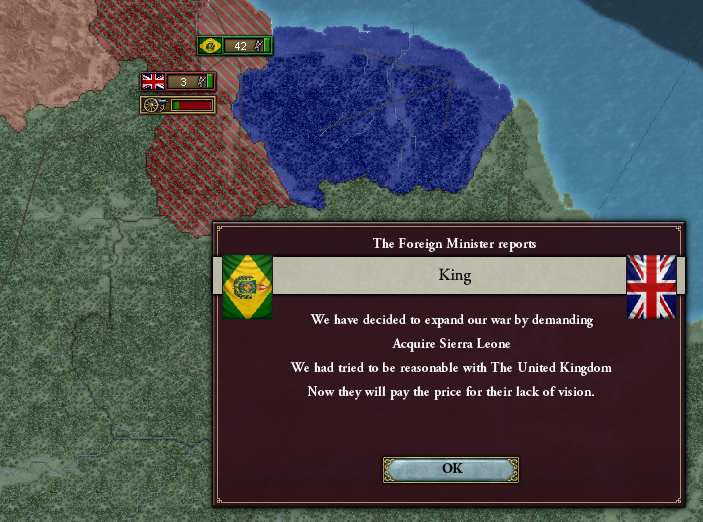 We add the acquisition of Sierra Leone to our list of demands. Our new demands are added as our homeland forces pressure British Guyana. Argentina and Peru are added to our sphere at around the same time. 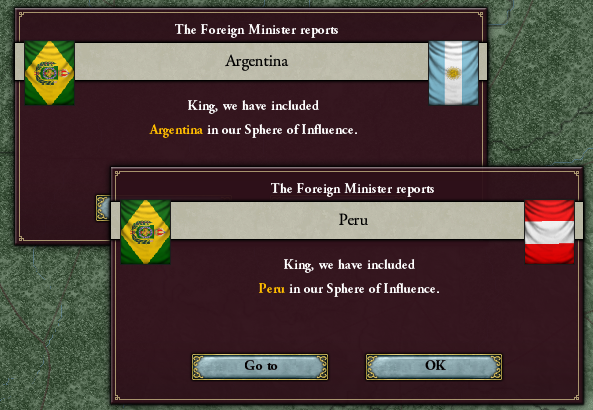 This (once again) finalizes our hegemony over South America. 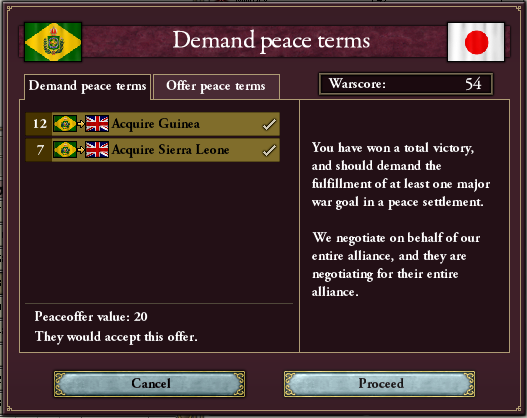 The UK allows Japan to broker a peace deal for them, and Japan is more than happy to give us Britain's territory. With that, the war is concluded and our colonial holdings are expanded significantly. Guinea and Sierra Leone are very valuable acquisitions, with both of them being more highly populated and wealthier than our other colonial states. The colonial state of Sierra Leone actually has a population roughly equal to our largest state back home. 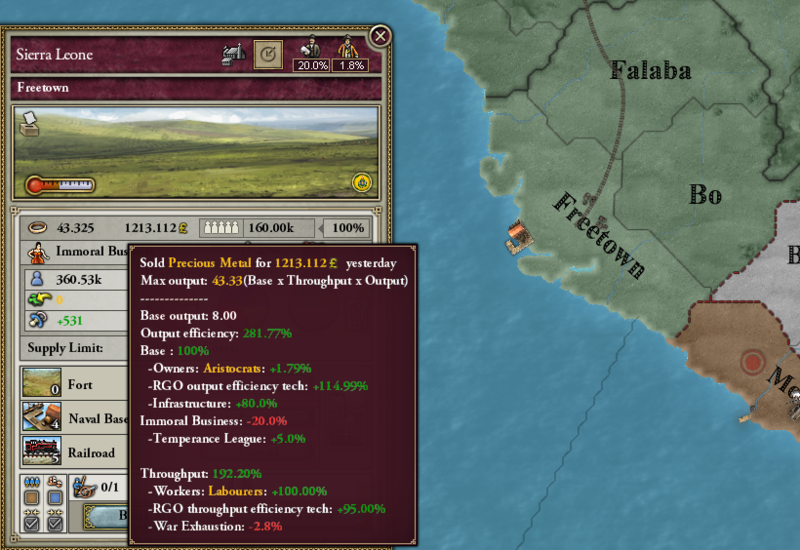 Sierra Leone also contains another feature making it stand out from our other colonies: Precious Metal. This RGO is extremely valuable. 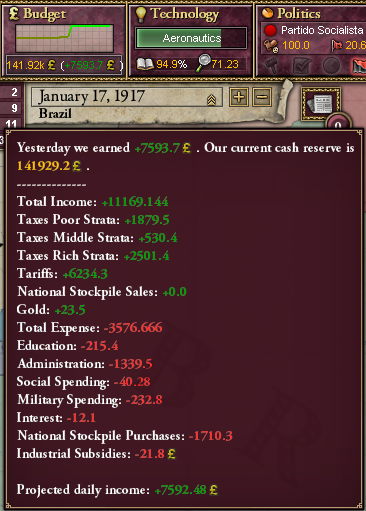 Not only is the RGO itself valuable, but owning a precious metal province gives us additional free national income which is listed in the 'Gold' section of the budget screen. We also make a good deal of additional tax revenue from the taxation of these precious metal RGO laborers and aristocrats in Freetown. We immediately see a huge turnaround in our budget with this acquisition. All of our expenses can once again be easily met, with a healthy amount left over to keep us in the green. Our battle fleet heads home 3 cruisers lighter. They were lost in battle against Britain's navy. Our battle fleet will need to receive some attention once our treasury has a healthy surplus again. 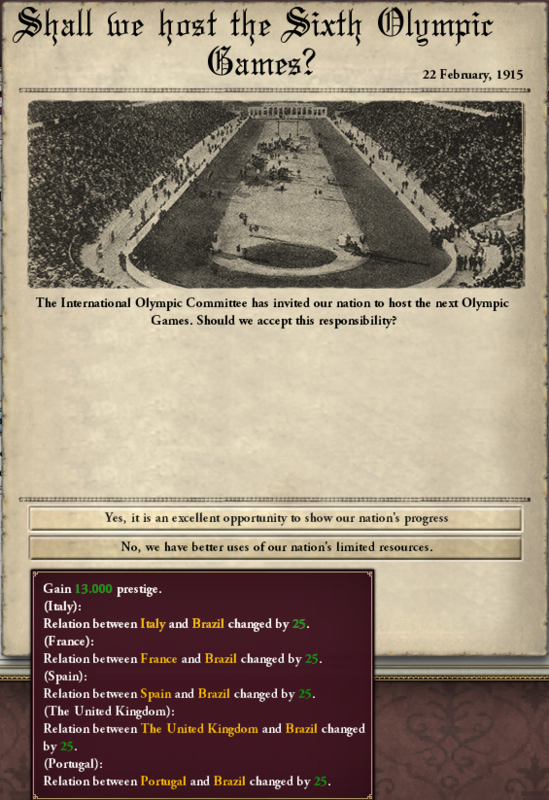 Brazil is offered the chance to host the next new Olympic Games. This is a prestigious offer and raises our relations with a selection of other participating nations. Even the UK's position softens a little bit towards us. 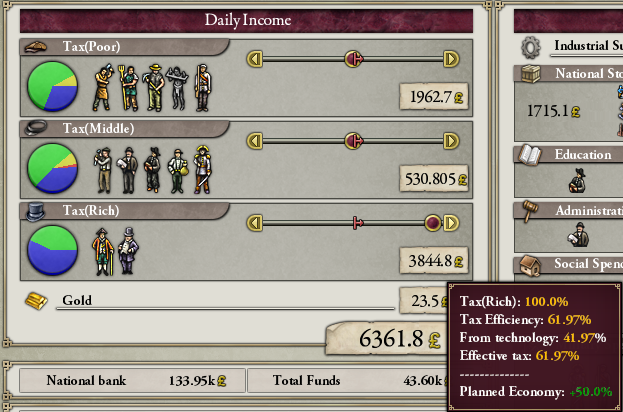 A small military buildup takes place, funded by the riches from our new colonies. Our third army in South America is brought up to 60,000 troops with the same composition as our other two continental armies: 2 guards and 7 infantry for the line, 7 artillery and 2 engineers for support, and 2 hussars for reconnaissance. We also arrange for the construction of a fourth army comprised solely of West African troops to be stationed in Sierra Leone as a permanent colonial force. Our colonies were previously left undefended under normal circumstances, with their defense relying on the transport of troops from home as they were needed. We discover Aeronautics in 1916. This technology allows for the invention of military aircraft. Airplanes are rather weak when the invention first unlocks them, but as you can see, this technology contains a plethora of airplane-related inventions. By the time most of these inventions are discovered, airplanes will be the most powerful defensive unit in the game. This is in addition to them being a suitable replacement to cavalry for recon purposes. 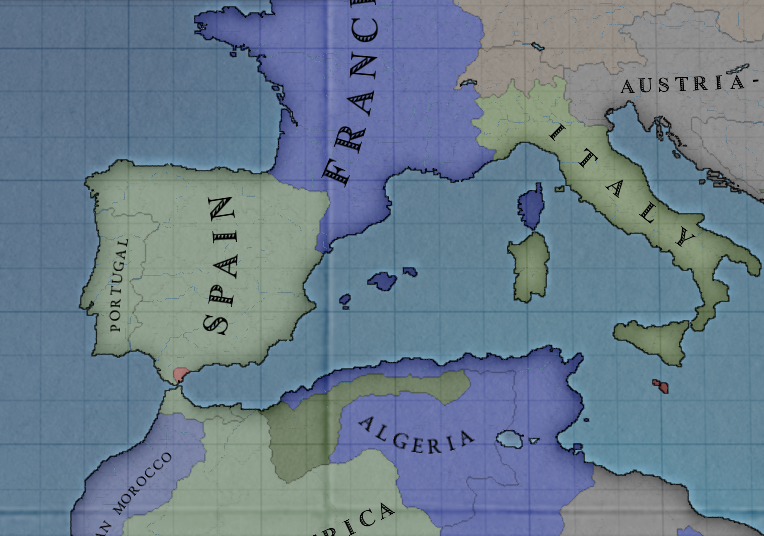 Our influence expands from Portugal to include Spain briefly, but France and Italy both aggressively influence Spain as well. They manage to break Spain from our sphere rather quickly before turning back to ruining each other's relations. I simply decide to stay out of Spain if that's what I'd need to deal with. In January of 1917, our liberal parties are unseated for the first time by a Socialist party victory. This carries with it significant changes for our economy and military. 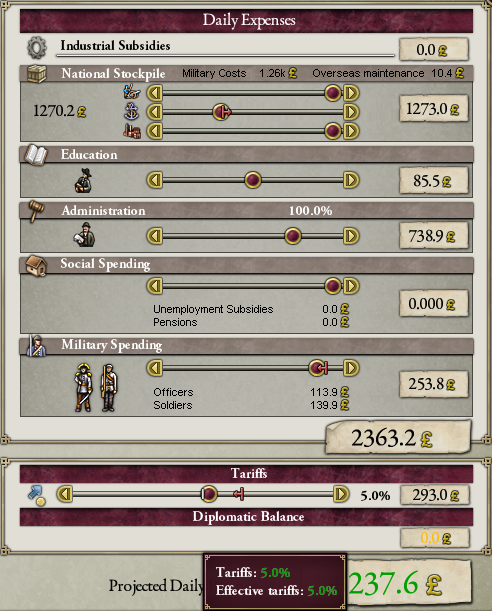 Being an Anti-Military party will make our armies cost less during peace time than they did under the Pro-Military liberals, but they will also generate less military score to pad our total score. 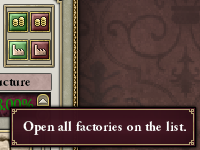 I have the freedom now to open any closed factory and subsidize any sector of my industry that I desire. I can also build factories that our capitalists never felt like constructing, like steamer shipyards. Steamer ships are going to be a huge item of consumption for us - they are needed as an upkeep item for our naval units. I'm also now allowed to tax the daylights out of our rich population. Since capitalists can't build factories under a Planned Economy economic policy anyway, that's fine. And since our factories are safe from going bankrupt while being subsidized, I can also slide tariffs to max. Now, I'm at the point where I don't really want to do this constantly, because I want my people to remain happy and outside of the radical parties and rebel groups. It will be fine to do it for a while, though. This massive influx of capital will let us do things that I haven't been able to afford for decades: the construction of forts across our country and in our colonies, upgrading our naval bases to their highest possible levels, and the construction of a more numerous and more powerful battle fleet. While the upper echelons of our government are having fun swimming around in pools of the gold of rich people while wearing striped full body swimsuits, the governments of Europe are plunged once again into a ruinous World War. France wants Alsace-Lorraine from Germany, Germany wants a part of Prussia from Russia, and everyone else is along for the ride. The core of our new main battle fleet is under construction, in the mean time. Several new dreadnoughts and cruisers are commissioned to be built, and once those are finished we are likely to scuttle our existing battleships to make room in our naval forcelimits for more dreadnoughts. Even after just a few months, we're in a position where our fortresses, naval bases, and naval construction is well underway with a large positive budget. I'm actually able to put tariffs back down to 0% after a short time. The war continues to rage for over a year with Germany and Italy making progress against France in the south. Germany, however, is suffering a fierce Russian counterattack on its eastern border. 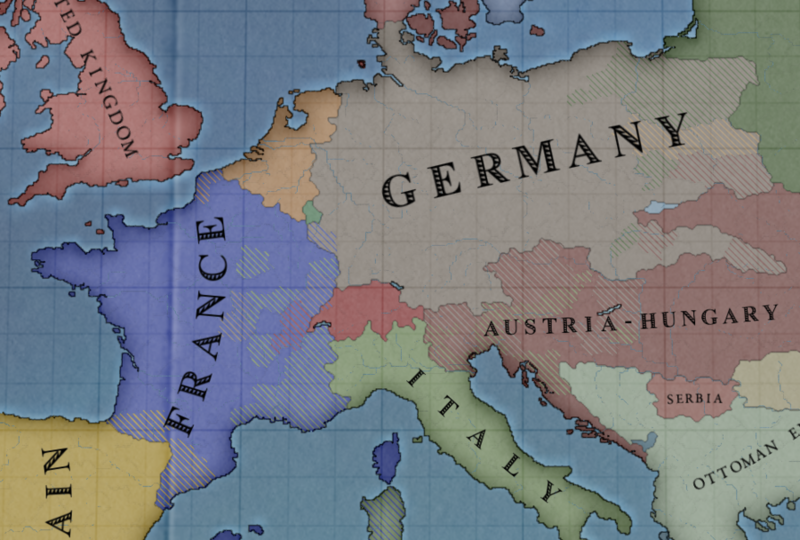 It appears as if nothing is done, Germany will win yet another war and expand even further. 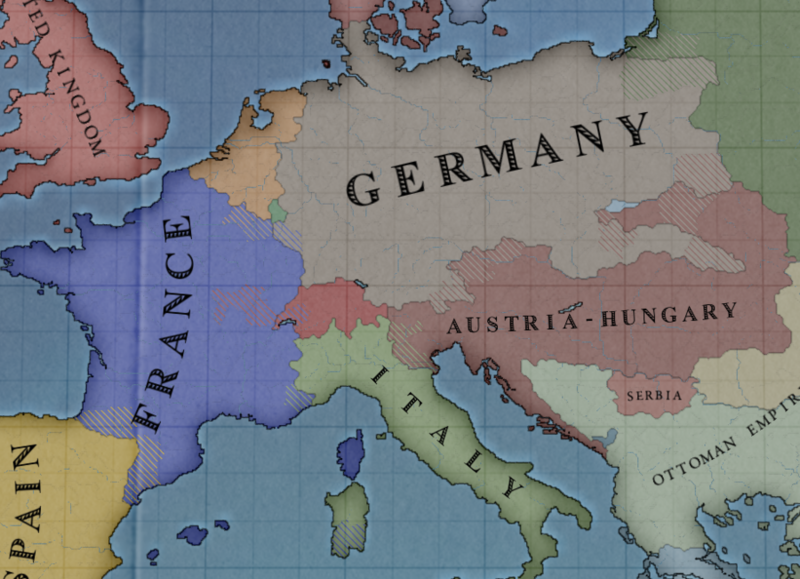 We have the option to intervene and join the side of France, Russia, and Austria-Hungary if we desire. Our entry would immediately move the score a bit back in France's favor, but we would need to move a significant force into French territory to assist in turning around the occupation. 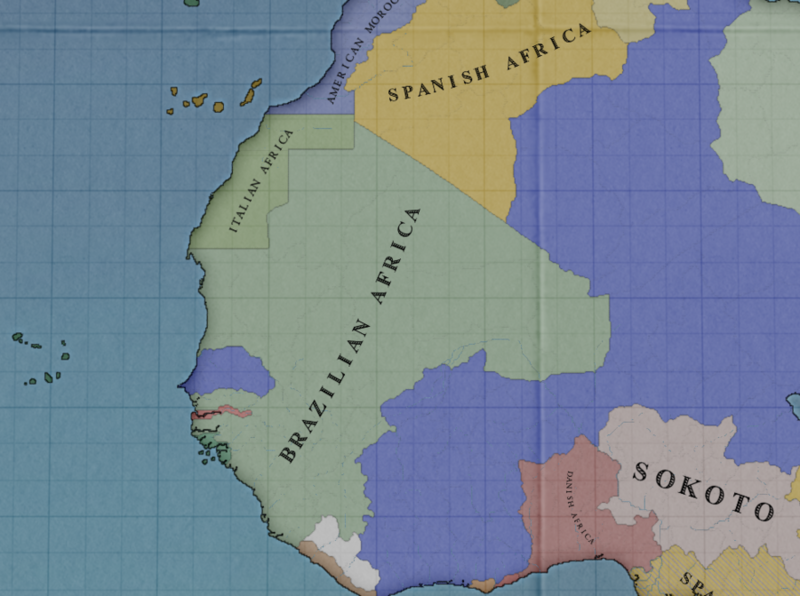 It should be mentioned that France's colonial forces have completely dominated the African theater, so our own colonies will likely be in no danger, nor will our homeland. 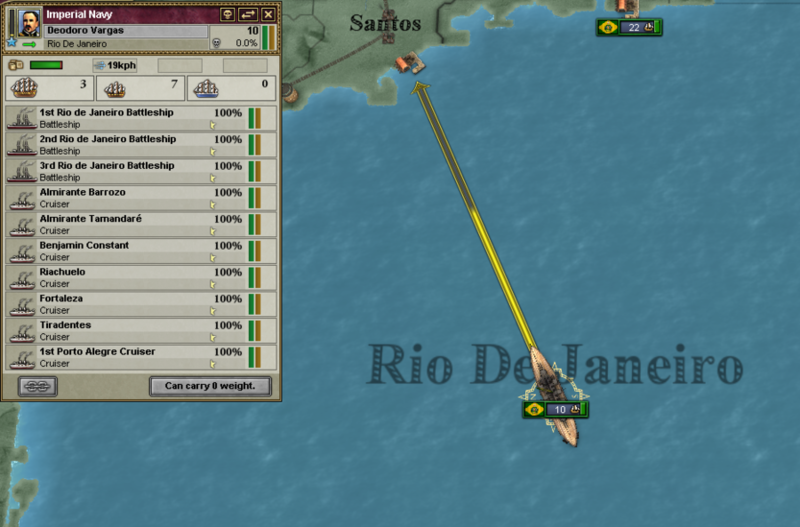 Germany and Italy have both proven to be incompetent in the naval arena. Joining this war would give us the opportunity to meddle in European affairs should our side be victorious. We could look into the possibility of seizing Italian Africa or splitting up Germany a bit. And naturally, we'd share in the prestige if we can turn this around and help be the victor of a great war. I am fully confident that our armies can win victories against the German and Italian forces in France, and our support may turn the tide and give the Russian advance more time to push through eastern Germany. We may run into problems if the Russian front crumbles and if France's armies are completely shattered by the time we get there. While I'm sure we can win victories against Germany, we wouldn't be able to fight an entire war against them on our own. We'd be overwhelmed eventually.